Today, Instagram declared war on Snapchat - by launching its new feature called 'Stories'. Stories allow you to post more casual content, draw on it, add text etc. and those photos and videos will disappear within 24 hours. If you haven't used Snapchat yet - it isn't just for Tweens anymore, and you should get on it. But if you don't want to embrace yet another social media channel, now you can essentially do the same thing on Instagram. So, what do you think, is Instagram shooting itself in the foot by trying to be something it isn't? Leave me a comment and let me know what you think. And if you'd like to learn more about Instagram Stories, here's their official blog announcement. 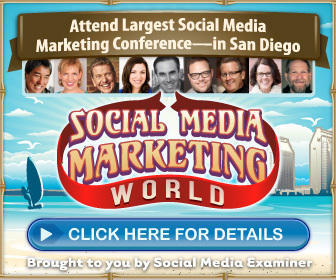 This is going to be my first time attending (and speaking at) Social Media Marketing World in San Diego, and frankly I couldn't be more excited. To have the opportunity to learn from the likes of Guy Kawasaki, Amy Porterfield, Gary Vaynerchuk, Chris Brogan, and Darren Rowse is a privilege, but to share a stage with them, OMG - this is going to be fun! Oh, and did I mention that the opening party is being held on USS Midway Aircraft Carrier?! What?! Yep, for realsies. If you'd like to attend - and I really think you should - click my affiliate link below. And hit me up on Twitter so we can catch up in person! And, if for some reason you don't want to spend a few days in sunny San Diego, you can sign up to watch / listen to the whole thing as a recording. Recently I was interviewed by Dan Gingiss and Dan Moriarty on the Focus on Customer Service podcast, hosted by Social Media Today. Photo by Justin L'Heureux, courtesy of LifeProof. I was asked to present a TED-style presentation at the Social Media Org 37th Member Meeting, talking about how we empowered influencers to create insane video adventures to help LifeProof's FRE Power case and tell the brand story. Social Media Org was kind enough to publish the video and my slides, so even if you weren't at the conference, you can watch them here. We couldn't show video at the conference, or I would have shared this sizzle reel from the campaign. Be warned, it's action packed, with waterfall diving, free-running, base jumping, mountain biking, and sky diving! And if you'd like to see all of the full videos, check out this playlist on LifeProof's YouTube channel. I'd love to know how you're using influencers, and videos to build your brand. Leave me a comment below! Do you enjoy talking to customer service reps on the phone? If you said yes, I'm willing to go out on a limb and say that you are in the minority. Really, really, in the minority. These days, the first place I turn when I have questions, comments, or need help is social media. And if a brand is handling their social customer care the way they should, it is infinitely faster and less painful that finding an actual phone number on a brand's website, then enduring long hold queues when you'd rather be doing anything else, and then being passed between reps as you try to find someone who can actually help you. As customers increasingly turn to social media for answers, brands can't afford to ignore social customer care any longer. And yet, you still see it happening. Brands have their comments turned off, or they don't reply to people's queries on their social accounts, leaving customers feeling neglected and unheard. Being a Social Media Marketing Professional I hate to name names because I know what a difficult job it actually is, that resources are often hard to come by, and that it can be a largely thankless job - but I did want to provide you with some examples of brands I think could make a huge impact if they were willing to engage with their audiences instead of using social media purely as a broadcast tool, and some who are doing it right. Nike is a brand I really admire, for a lot of reasons I won't get into here, but I'm always sad when I visit their Facebook page to find that they have posts and private messages turned off. I'd love to send them some fun UGC of my super-colorful Nike sneakers or a comment about how much I love the layout and design of their New York flagship store. But I can't, they don't want to hear it. I'm sure Nike has an extensive customer support team, and there are ways to integrate them into your social media presence so customers can get the help they need, wherever they prefer to receive it, and then you can leave the Social Media Team to do what they do best. In fact, there are a lot of tools out there that will categorize and allocate customer posts to the appropriate person to be answered, making the workflow relatively simple. Starbucks have 36,087,934 Facebook fans at last count, and yet they keep their communication lines open. You can post a picture, comment on their posts, or send them a direct message. In fact, they even have a whole section of their website dedicated to hearing your ideas. So if you have a new drink suggestion, idea for in-store, or a way they can be more socially responsible - they actually want to hear it! Well done Starbucks, well done! And what's even better....they respond to their fans. With emojis and clever comments. They use the images and videos fans submit, and they really celebrate their customers! Good job Starbies! The weight-loss giant goes out of their way to give their members a personal touch. Recently they changed their whole points system to 'SmartPoints' which meant that there were some teething problems during the busy New Year's Resolution time period. Specifically, their app went down, for over a week, meaning that loyal members couldn't access their information or easily participate in the program. But, they handled it like pros. They trained additional staff to handle the thousands of extra social media questions and complaints and gave them license to act like actual human beings. They were compassionate, helpful, friendly, and fun and they responded to everyone! Full disclosure, I run social media strategy for the OtterBox and LifeProof brands, so yes, I'm quite biased. But I did want to share a little about our philosophy and why we strive to answer every customer's question, and give love to our loyal fans on social media. Everyone on our team understands that you don't always want to hunt down the number for customer support, and then talk to a human on the phone. Anyone my age (and younger) wants help where they are at the time...which is usually social media. Whether that is Facebook, Twitter, Instagram, Snapchat, Periscope, Tumblr, Pinterest, or even Google+ we want to help our fans in a location and way that feels natural to them. And beyond just answering customer care and product questions, we genuinely want to hear what our fans have to say. Whether they don't like a feature on a product, or they have a great idea for something new, we listen, and we take that information back to our product and engineering teams who give real consideration to how we can improve our customers' experiences. As I said earlier, providing social customer care can be a thankless job. Fewer people take the time to give words of appreciation, than those who like to complain. So if you'd like to let my team know they are doing an awesome job, click on one of the tweetables below! Tweet: . @OtterBox you do an amazing job at social customer care. Thank you! Tweet: . @LifeProof you do an amazing job at social customer care. Thank you!